Prepaid Closing Costs are paid by buyers for their mortgage. These are funds that the mortgage lender holds in escrow for expenses like taxes and insurance. A buyer may ask a seller to cover some or all their closing costs either with a flat dollar amount or up to a percentage of what’s an allowable contribution for a lender. If a buyer asks the seller to do this, they are likely going to pay a higher asking price. Sometimes sellers want to get out of a home quickly because they need the capital from that house they are selling to put toward a new real estate purchase. The closing date will also affect they buyer’s monthly cash-flow because when a buyer closes on a house, they skip the next month’s mortgage payment, therefore they may want to negotiate to close at the beginning of a month. When there is a Financing Contingency in place for a real estate transaction, it can tie up a seller’s property for a required 30 to 60 days. For this reason, many buyers prefer buyers coming to the table with cash offers. If you are competing with cash buyers, you may want to figure out if you can drop the financial contingency, which will shorten the closing time line. You can do this by getting pre-approved for a home loan prior to making an offer. Mortgage preapproval shows that your finances are in order and you can afford the home. As a buyer, you can request a home warranty. As a seller, you can offer one. This home protection plan covers things like appliances and systems such as the hot water heater or air conditioning, in the event they repair or replacement. A seller can push for a buyer to waive the appraisal contingency, however, if for some reason the appraisal falls short of the expected amount, they need to be prepared for the amount of cash they might have to pay should the bank only be willing to lend them money based on the appraised value. Personal property such as patio furniture, window treatments and chandeliers is all up for grabs. If the buyer can ask for these things to be included in the contract. Sellers need to determine what they are willing to leave behind. And any exclusions need to be specifically listed in the contract as well. When sellers waive inspection, they often find themselves with buyer’s remorse but they can try to shorten the time frame for inspection, from ten days to five. However, today’s lending practices and the TILA RESPA Integrated Disclosure (TRID) make this hard to do. 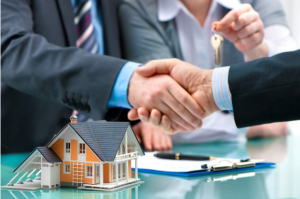 The best way to make sure that you get the best deal when selling and/or buying a home is to have an experienced Realtor like Mike Manosky to assist you with negotiations. Give him a call at 256-508-0211 today!